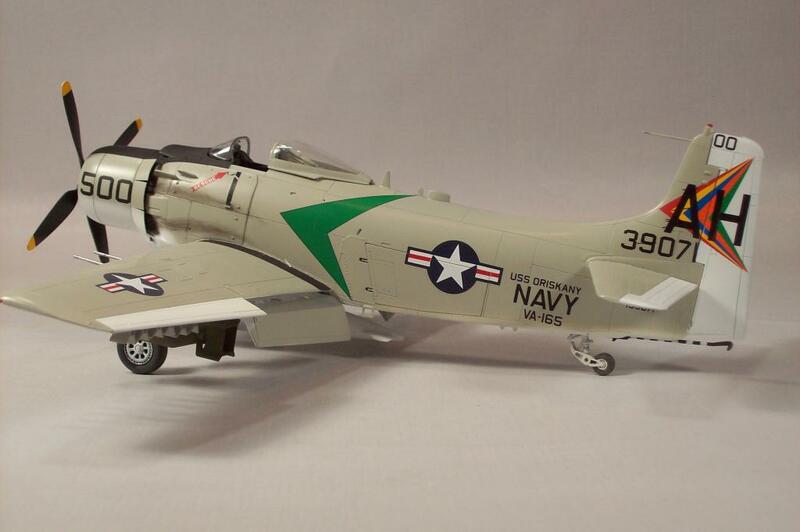 This was built from the Tamiya kit using AeroMaster decals. Aside from the decals I built this out of the box. I have no idea of who the pilot was or any further history of the airplane. I just liked the scheme. I left it rather clean as I have used this image on my card and my WEB-site. I remember the AD’s from my time on BHR in 1957 and have always liked this a/c. I have the 1/32 Zoukeimura under construction right now and I feel like I am building the real airplane. Lots of the stuff inside will never be seen again. Beautiful build, Frank – and I love the late ’50’s, early 60’s time-frame you chose for markings. 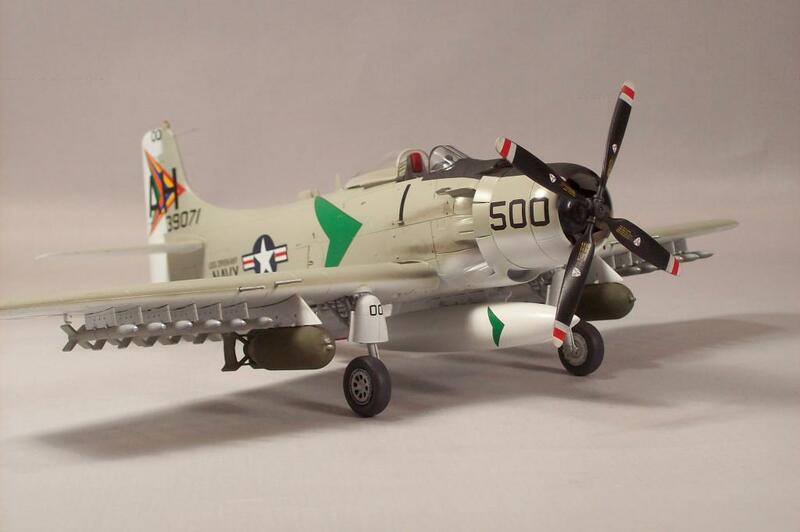 Very cleanly-built Skyraider, Frank….and your Corsair posted below is also quite unique. Love ’em both – nice work. VERY nice- you have influenced me to build my extra Monogram AD-6 in USN Grey/white! Another great build. I like the subtle exhaust stains. 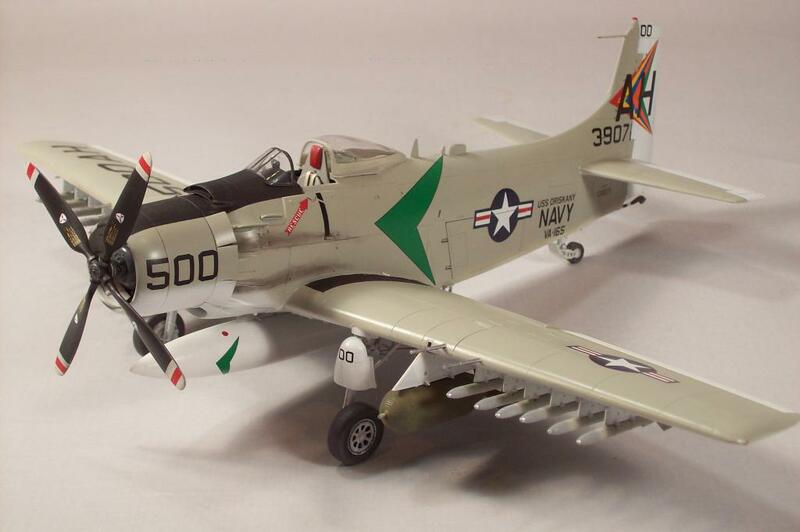 Frank….. Nice Spad, clean build. I LIKE it. Real nice effort, just enough exhaust “weathering” to put it over the top. (As a young model builder I thought the engine cowling (and engine) looked too small and didn’t match the rest of the airframe). Great job Frank! 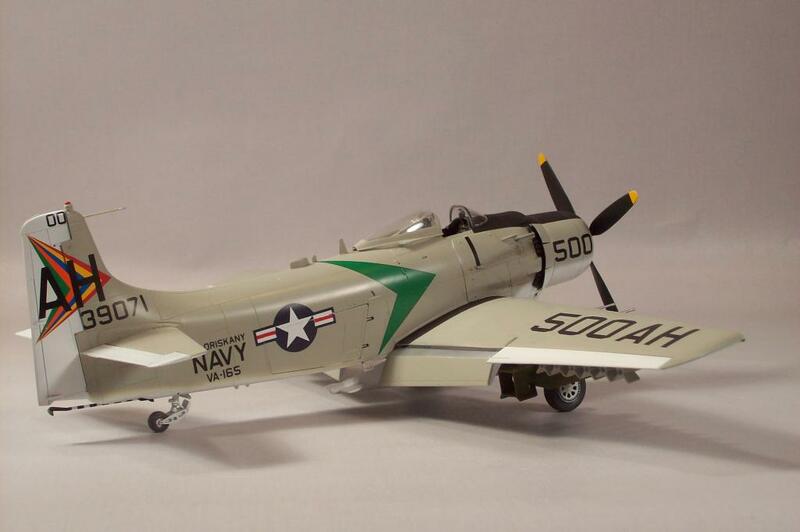 Do you have some of your models on display at Talbots Hobbies in San Mateo? Yes I do. Are you from the area?